Welcome to Fremont Auto Center, the premier Ford service and repair shop. 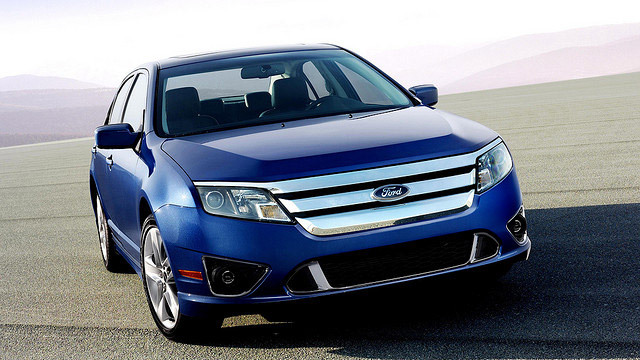 We provide first-class service and repairs for owners of Ford vehicles. Our ASE certified technicians can diagnose and repair your Ford, and usually can do so the same day. You can bring your Ford to Fremont Auto Center knowing that it will be serviced by experienced mechanics using state-of-the-art tools. Whether your Ford Fusion needs new brake pads, or a Ford F-150 needs a pre-purchase inspection, you can bring them to Fremont Auto Center knowing that our technicians have experience and tools necessary to do the job right, the first time. Ford makes all types of vehicles, from compact cars to SUVs, in addition to its legendary F-Series line of trucks. At Fremont Auto Center, we are equipped to service, maintain and repair all of them. Whether your car has the “check engine light” on, its transmission makes funny noises or manufacturer scheduled maintenance is in order, you can bring it to our repair shop and it will be handled with a smile and utmost professionalism. We highly recommend following manufacturer recommended maintenance schedule. Regular maintenance keeps your Ford in top shape, keeps small problems from developing into serious repairs, and it improves mileage as well. Fremont Auto Center is a full-service auto repair shop, so no matter what ails your Ford, bring it to us and we will diagnose the problem, and present you with repair options. Whether your Ford needs serious repairs or just routine service – set up an appointment online, or give us a call.